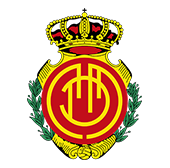 RCD Mallorca and Fran Gámez have reached an agreement for the renovation of the Valencian right side until June 30th, 2022. Gámez extends in two years its connection with the club, which ended in 2020. Maheta Molango, CEO of RCD Mallorca, has pointed to Gámez as "an example and the type of player the club wants to have in their ranks". For his part, Fran Gámez was shown "very grateful for the confidence of the club both a year ago and now with this renovation". The side also ensures that if a year ago he had been told the current scenario "I would have signed with his eyes closed."